Home » How to ? 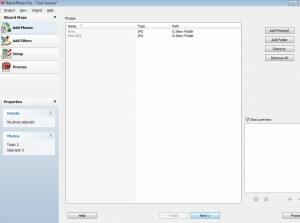 » How to convert JPG(single/Multiple file) to PDF format? 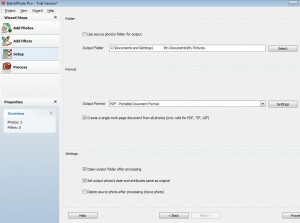 How to convert JPG(single/Multiple file) to PDF format? 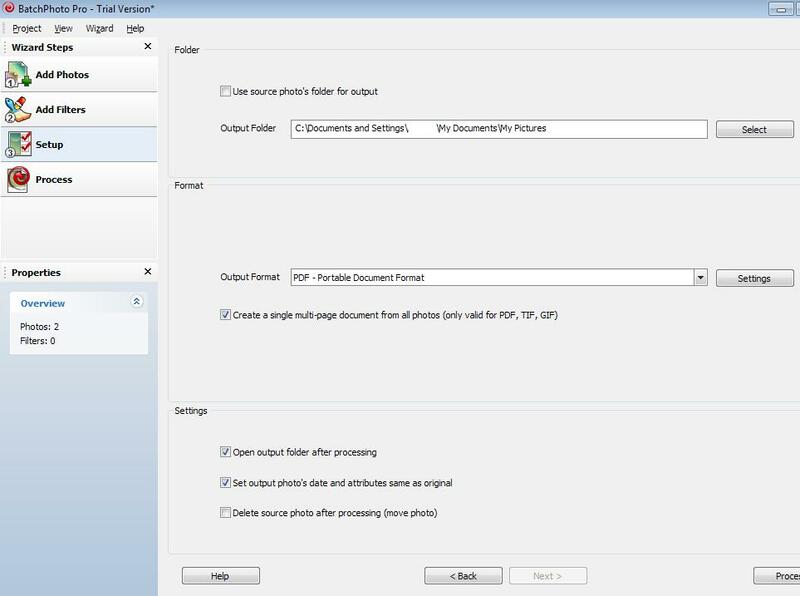 After scanning your documents using a scanner, the scanned image is saved in the format of JPG. But what if you need to convert the scanned image or images to a single PDF format. I faced the same issue and i found out how to convert it. I am sharing with you folks now. 1) Download the JPG to PDF Converter from the following website. Click here to download the software. Through this software, you can convert your PG/JPEG, PDF, TIF/TIFF, PNG, GIF, BMP/Bitmap, EPS, TGA, PSD and RAW image formats to your required format. I myself have tried this software. when compared to other software’s, the converter mentioned above is good. 2) Click Try it free and then follow the onscreen instruction to install the file. 3) Open the installed file from the desktop. The converter will be named as BatchPhoto. 5) By default, Add Photo will be selected. Here you can add a single Jpg file or multiple file. 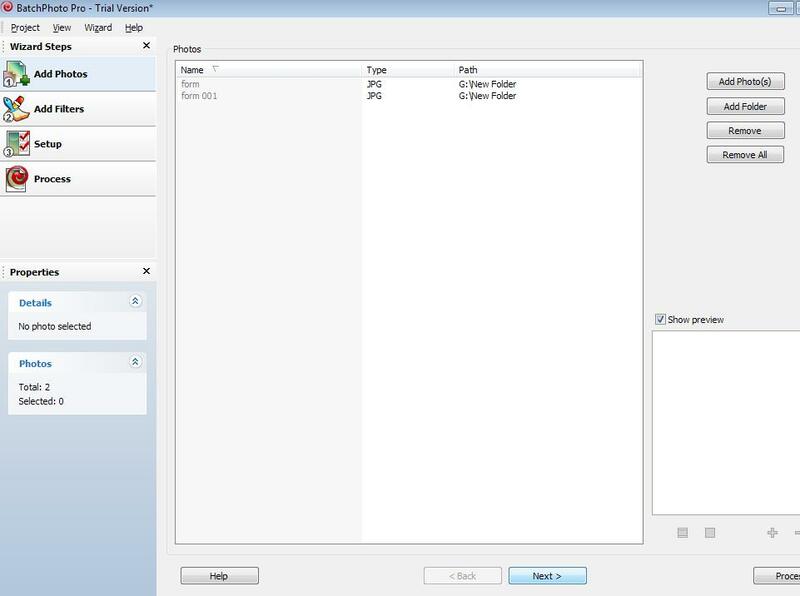 You can add the multiple Jpg file through the option Add Photos/ Add Folder that is available at the right hand side of the converter. 6) Now Click Next present at the bottom of the Add photo section. This will lead you to Add Filters section. Do Note: This step is Optional and there is no need for you to go through this step. It is useful when you want to add Watermark or extra effects for the file that you are going to create. 7) Now, click on next which will lead you to setup. This step is the important Step. In the first Frame you can see Output folder. This is nothing but the destination where you need to save your file in the computer. you can select the location of your choice to save the converted file. The second frame named as Format is very important. This is where you select the type of your choice. For instance, I tried to convert my Jpg format to a Pdf file. So from the drop down, i selected an option called PDF. 8) Finally click the process button, Bingo! your file is created and is saved on the destination folder that you selected. If you like my post, just give me a comment on your views. How often do American teens text? Why pay for softwares when you can do this by using the free PDF995 pdf printer and built-in windows software ? its not only easy but gets your job done without spending anything..